Amazon has American Girl Grace’s 2-in-1 Home for $47.98 (Reg. $70) with free shipping. 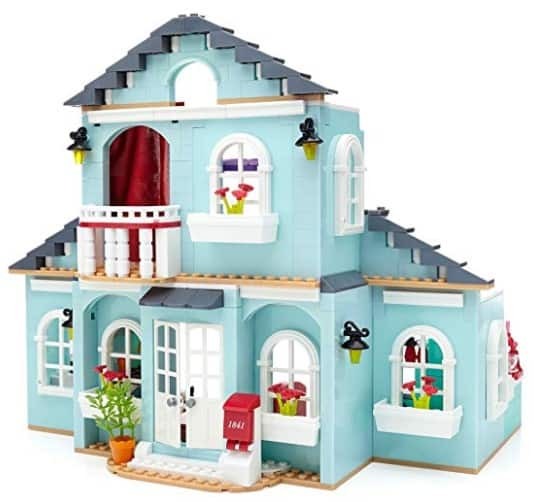 Grace’s 2-in-1 Buildable Home -You have two gorgeous design choices with Grace’s 2-in-1 Buildable Home by Mega Bloks American Girl! Choose to build Grace’s Home, or her Patisserie and Slumber Party with this deluxe 2-in-1 set! Buildable rooms include a living room, kitchen, and garden, or a bakery and bedroom with rooftop area. Three highly detailed, fully articulated mini figures include Grace, Maddie, and Ella, with unique outfits, and Bonbon the French bulldog. Accessories include sofa, bunk beds, fridge with working door, stove, sink, teddy bear, counter, fireplace, and special accessories for each area of the home.